We are a certified distributor builder for Garco Building Systems Inc. and have completed many industrial facilities, warehouses, heavy machinery maintenance and automotive builds. 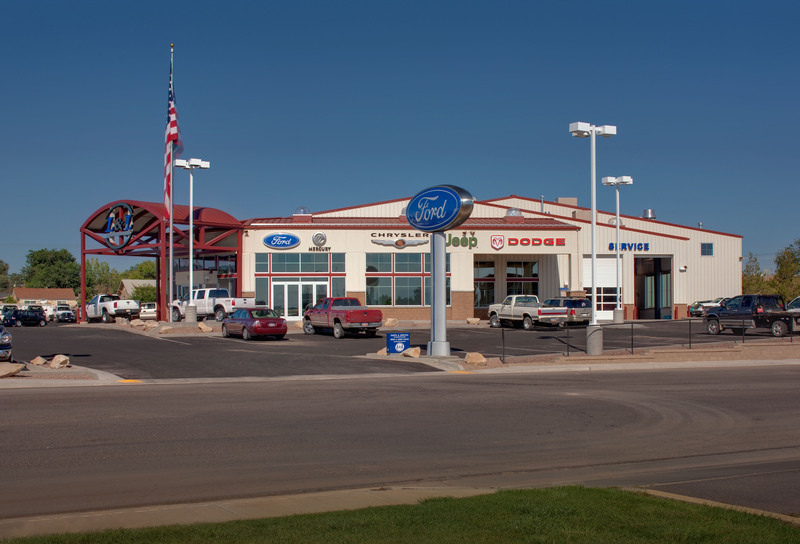 Multi-auto sales and service dealership. This project was completed using a pre-engineered structure to accommodate a clear span high bay for auto and heavy-duty truck service. 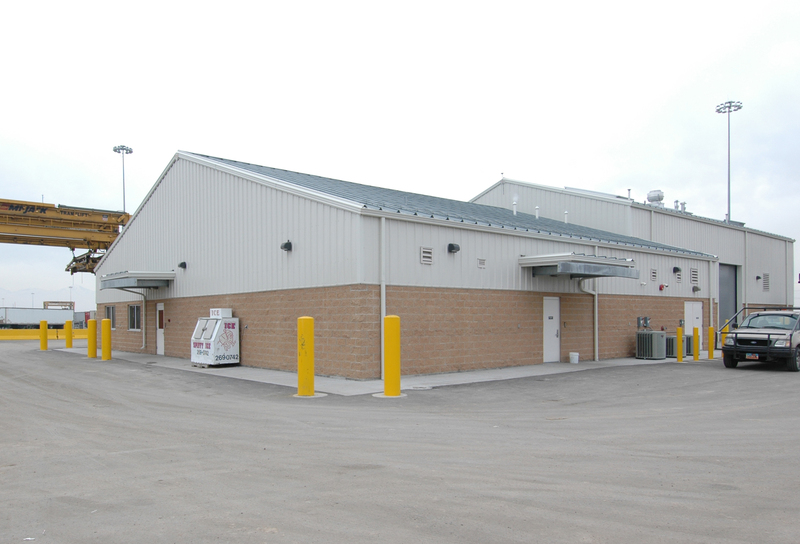 The building shell was completely enclosed, avoiding any added cold weather cost for construction. Created to accommodate heavy-duty trucks and semi-tractor trailer rigs. 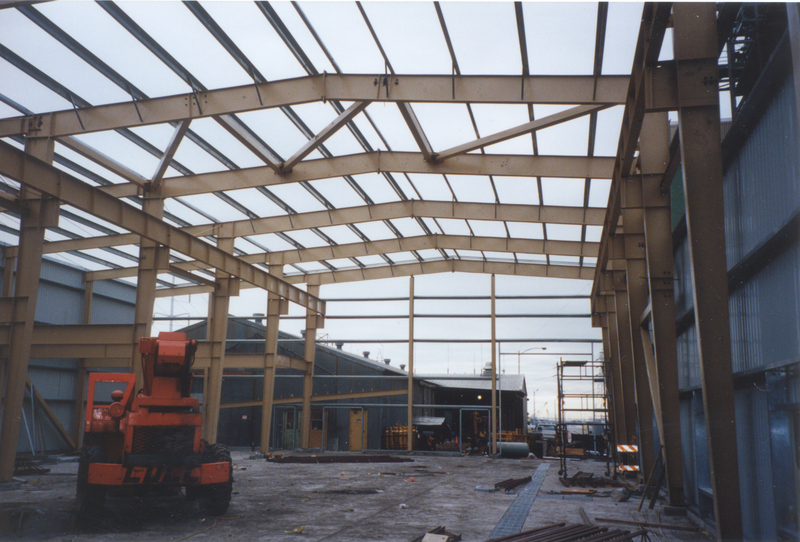 This facility, built with high bay and clear spans for large trucks and semis, was one of many individual pre-engineered structures completed at this complex. Engineered to support the Utah Power maintenance and offices. Construction included a 15,200 square foot, pre-engineered metal building that accommodates a five-ton, overhead bridge crane that spans the entire length of the maintenance section. Two state-of-the-art paint booths, repair shop, and prep area. 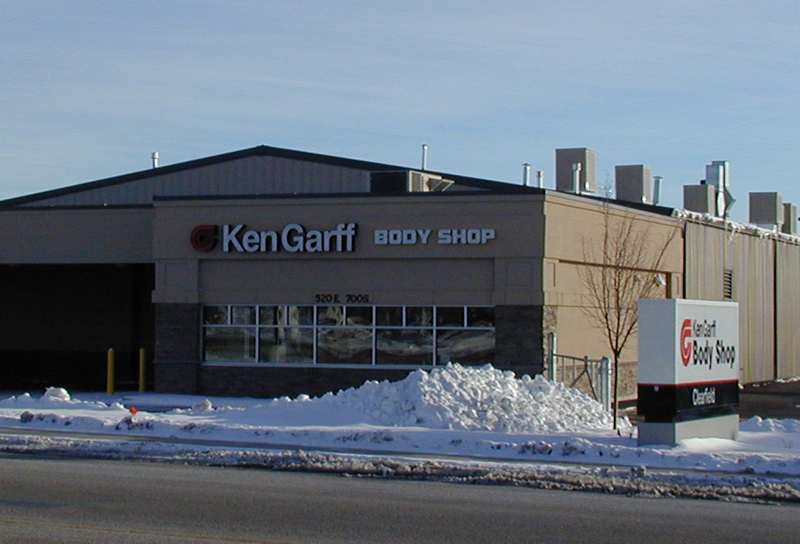 The body shop is an 11,200 square foot, pre-engineered building system with an adjacent 3,200 square foot, steel framed structure for administrative offices, customer waiting area, and an open canopy for estimating car repairs.